The following is a very short example of the genealogical method at work. To do a genealogy when it comes to the study of the history of anything, first, you take the texts that the majority/powerful talk about (the canon). Next, you take the texts of those of the minority/those with less power. Lastly, you read them together. An over-simplistic and brief overview of hard work that people do nowadays. 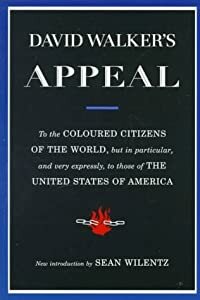 David Walker’s APPEAL has been an overlooked document when it comes to doing history of the world. In fact, because of our racist gazes, it’s perpetually stuck in Black History Land, speaking to only the particular concerns of African Americans. Reading David Walker’s APPEAL as a theological text would suffice, and so would it even biblical interpretation. With the final and third edition printed in 1830, Walker left his mark on the world. Yes, it is a Christian anti-slavery document. More importantly, Walker offers us insight into what Jefferson’s own contemporaries believed about Jefferson, who David Barton and Glenn Beck,amateur historians and professional lying con con men claim to be a bible believing evangelical Christian. Walker’s analysis is brilliant and underrated, a work of Blerd Power to be sure. David Walker starts with the histories of ancient Greece, how the Helots were mistreated by the Spartans, and does a comparative study, showing that the pagans treated their slaves better than the Christians in colonial America. And there you have it; Thomas Jefferson promoting White Supremacy. In contrast, Jefferson says that blacks have been cursed with their black skin (how unfortunate!). It’s just not that Jefferson owned slaves, slept/raped his slave women and had kids by them, he was practicing what he believed, that black people were not human. Blacks were animals, they were not human in Jefferson’s eyes. No where in Jefferson’s statements did he mention anything about God being creator of all of humanity, that we are all made in the image of God. Why? Because quite frankly, Jefferson was a non-Christian. David Walker groups Thomas Jefferson with the PAGAN philosophers of the past. In the second half of Walker’s APPEAL, Walker argues against “fellow Christians” like Bartholomew De La Casas and Henry Clay “The Great Compromiser” but Jefferson is not in their number. To conclude his essay, Walker ends with a hymn by one of the Wesley brothers, and interestingly enough, excerpts from the Book of Common Prayer. This entry was posted in Political Jesus and tagged black religion, Confederate History Month, conservatives do not like historical facts, David Barton, dominionism, Glenn Beck, historical theology, Tea Party, the glenn beck wing of Christianity on September 29, 2012 by Rod T.
Tonight, a sudden flood of lurkers and trolls amassed onto the universe of Political Jesus. Some offered me career advice about stepping up to the plate and leading. Others had to let me know I was on the losing side, and that the majority of Americans are against. These were actually very comforting words, really. They just do not get that I do NOT in any way what so ever care about anyone else’s opinions about me. In fact, here’s my own list of people’s who’s opinions I care about: My very own list of peoples’ opinions I care about. There is that, and me slandering David Barton without any basis or facts. Without any basis or facts? That sounds like David Barton’s own propaganda! I just don’t understand why anyone would pay $60 for toilet paper anyhow. Apparently, Barton, professional charlaton along with his fellow con con-man Beck, was on Beck’s The Blaze tonight, with Barton going on about fasting and the Founders and how Christian they were, even Thomas Jefferson ( who denied the Trinity, inspiration of the Gospels, and the divinity of Christ, but hey, NO BIGGY, right?). Whenever Glenn Beck endorses a book, the numbers on Amazon always go up, and no doubt, searches for Barton’s $60 hardback toiletry lead to Political Jesus. Thus, the trolls. Unlike other theology bloggers, I am glad to have lurkers and commenters who disagree. Professional historians who rely on the facts and who do not twist the Founders’ words or works like Warren Throckmorton [linked here] have issued rebuttal after rebuttal to Barton, and all Barton can do is scream, “liberal” at even conservative historians who are rejecting his “work.” Conservative evangelicals are rejecting Barton’s work right and right. 😉 It was conservative evangelicals who were going to boycott Thomas Nelson before Thomas Nelson, a conservative Christian publisher, also wisely decided to drop Barton’s lies about Thomas Jefferson. Not only is the Founders’ Bible worse than the Patriots’ Bible, but also Barton, Beck and other propagandists continue to whitewash U.S. American history which is essentially endorsing oppression of fellow human beings as well as fellow sisters and brothers in Christ. This entry was posted in Political Jesus and tagged Church-State separation, conservatives do not like historical facts, David Barton, dominionism, Glenn Beck, nationalism, politics, Tea Party on September 29, 2012 by Rod T.
Today, I would like to briefly address a history of Christian tolerance. Where did the idea of religions tolerating other religions come from in terms of being participants in the public square? I don’t think there was ONE particular moment in human history where this happened, it was sort of a social development that just sort of happened, and today, “tolerance” is being emphasized because we live in a multi-religious, culturally pluralistic society. Of course, there have always been religiously pluralistic societies, where the prevailing religion was polytheistic, like with the Ancient Greeks, Egyptians, and Romans. But in reality, with imperial politics playing a role in subordinating the masses, the emperor/king served as god with his own group of worshippers. If you did not bow to the emperor, you paid with your life. Religious tolerance then must be seen as ever elusive, even back during Pax Romana. In recent days, violent events in Libya and Egypt have been used as opportunities for liberals and conservatives to use their talking points. For conservatives and arc-conservatives like Mark Tooley of The Institute on Religion And Democracy, it’s see, I told you so, those Arabs are inherently wild, uncontrollable and violent, and they must be put down (under the foot of the U.S. Military of course!). See Mark Tooley’s: Libyan Horror as an example. Chris rightly responded to Tooley Tooley, the United Methodist? : The IRD Prez TAkes aim at Moderation, tolerance, in the wake of Libyan Slaughter. Tooley argues that religious tolerance is a liberal idea and must be squashed, and religious freedom includes the free speech of speaker (he is no pastor, I refuse to call him that!) Terry Jones of “Dove” World Outreach Center to start a race war. Burning the sacred books of people, and publicly doing so for the sake of intimidating them, is the exact same strategy that the Ku Klux Klan used(uses?) in burning crosses in front of Black Christian audiences to scare them. The notion that Terry Jones has the right to believe what he believes and to do what he wants to do is just not true. We are not allowed to go to movie theaters and shout, “Fire!” anymore than Jones can continue to yell for “War!” There are limits to our freedom of speech. Tooley would probably acknowledge that there are, but not when it comes to folks who agree with him and his crusading churchianity agenda. For the first 3 centuries of the Common Era, Christians were persecuted, suffered from the “tolerance” and “enlightenment” of the Roman Emperor cult. Marcus Aurelius, he was more spiritual than religious. Each citizen in the Roman Republic was face with the Jewish Question which was transformed in the Jewish AND Christian Question. According to conservative evangelical scholar Peter Leithart, in his work Defending Constantine, Diocletian treated himself like the god Jupitor incarnate , dressing in fancy clothes, and it was his pax deorum Peace of the gods, for two decades which saw no persecution of Christians at first. But once Christians started to criticize ideas like the Tetrarchy (four rulers over Rome), Diocletian became threatened by what was then a vocal minority of 10% in the Roman Empire. Constantine, according to Leithart and others, understands toleration as “disapproval of certain religious expressions but refrains for principled reason from using state power to suppress the disapproved religion.” Constantine moves away from toleration to concord, a move towards unity. Constantine’s Edict of Milan is a putting of Jesus’ command to turn the other cheek into practice. Leithart criticizes the anti-Jewish flux of Constantine’s policy of religion (the Jewish Problem still a problem in the name of religious liberty). Mark Tooley argues for religious freedom, with Terry Jones, and with protecting conservative evangelical Christians rights’ to their anti-abortion principles, see his conversation on “Young Evangelicals And Politics”; he claims he wants freedom and tolerance for his side,, but at the same time, he is taking away freedom from American Muslims. Tooley is following theories of religious freedom that are oppressive, as Leithart points out, with people like John Locke, who argued that religions should only be tolerated if they did not threaten the unity of the nation-state. Tooley, as I have argued in the past, who continues to get pacifism wrong, is far more concerned about the unity of the nation-state than he is Christians being free to be faithful to the Gospel. Country takes precedent over the Triune God. Joel is right to criticize Tooley’s narrative of Conservative Christians being persecuted (oh no’s! ); it’s just not happening. We as Christians are not being the sources of entertainment at Hollywood garden parties like what happened in the days of Emperor Nero. Just not the case. The problem is for folks like Tooley and the Washington, D.C., based think-tank Institute for Religious Democracy (that’s my awkward nickname for the IRD), they have deviated from conservative heroes such as Constantine, and would prefer the likes of John Locke instead. Perhaps instead of cannibalizing fellow Christians, Tooley and his Institute for Religious Democracy, should follow the Christian examples of Emperor Constantine and Secretary Clinton, in remaining faithful to religious traditions but still working for the freedom of other religious practitioners. Further, we as Christians and “THE” Church should take the steps promoting Christian nonviolence and love to overcome hostilities around the world. 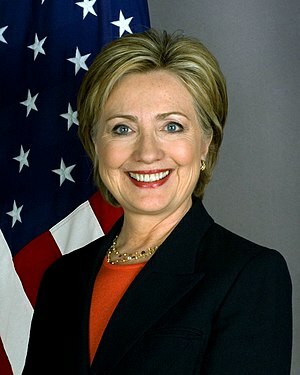 This entry was posted in Political Jesus and tagged bibliobloggers, Church history, Church-State separation, conservative evangelicals, conservatives do not like historical facts, Hillary Rodham Clinton, historical theology, Nicene orthodoxy, nonviolence, Patristics, peace, politics, United Methodist Church on September 18, 2012 by Rod T.